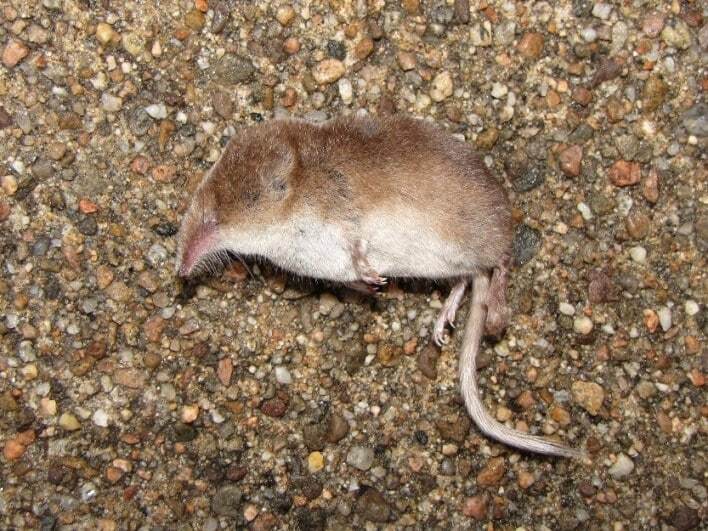 On 13th February 2018 Gwen Richards found a dead shrew in her garden at Torbreck (NC0824). 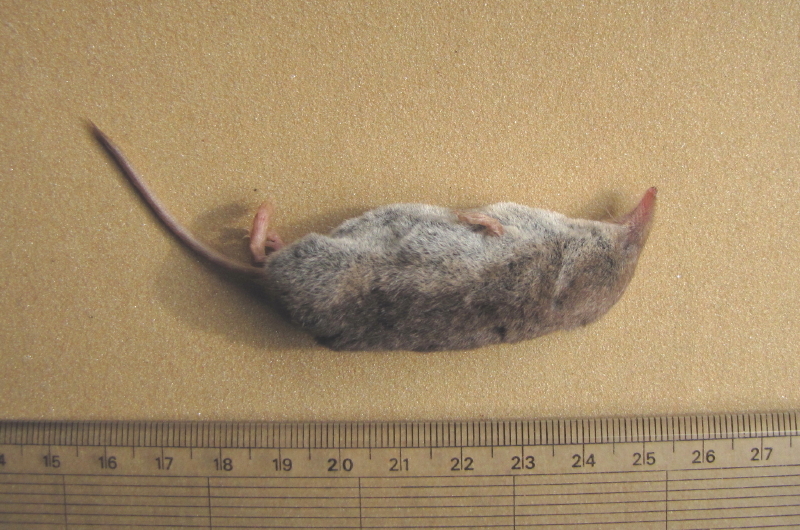 Many of our local records of shrews are of dead ones. They are short-lived, being born one year and maturing, breeding and dying in the following one, so there is a natural high mortality. They also have scent glands that apparently make them unappetising to predators such as cats; they catch them but do not eat them. Water shrews are immediately recognizable by their contrasting black backs and silver bellies, and by fringes of hairs on the underside of their tails and between their toes. This individual was one of the other two species, common and pygmy. It had got wet and was looking a bit woebegone. The time of year also meant that it was probably an immature animal and these factors combined to make identification more challenging. Three features may be used to distinguish adults of these two species. The first is the relative length of tail to head and body, about 50% in common, 70% in pygmy; the tails are the same length (about 40mm), but the head and body longer in common (75:55mm). The second is the length of the hind feet, 13mm in common and 11mm in pygmy (and the pad pattern is also different, though difficult to see). 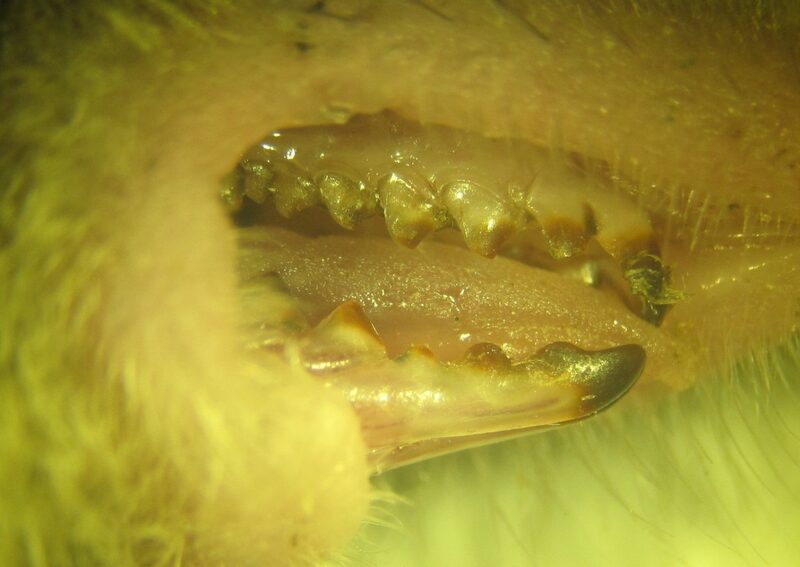 However immature specimens can still present difficulties and the real clincher is the relative length of the cusps of the teeth in the upper jaws. In the pygmy the fifth cusp is in line with those preceding it, in the common it is set back from the line. 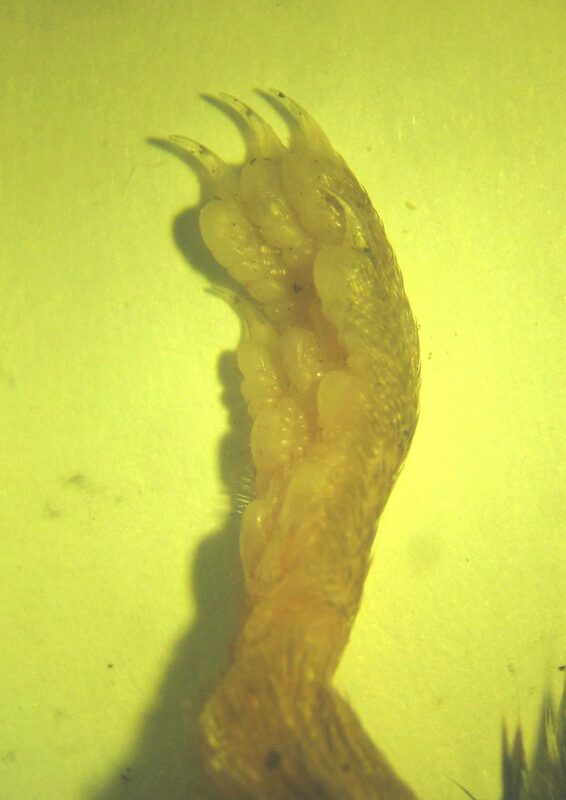 This specimen had hind feet 13mm long and the tooth pattern of a common shrew. Problem solved!